Yesterday we learned that T-Mobile will begin selling the Galaxy Fold in a couple of weeks, and now Samsung is gearing up to begin taking orders, too. Samsung will now let you reserve your pre-order the Galaxy Fold. You’ll need to enter your name, email address, and ZIP code, and select either the AT&T or T-Mobile version. 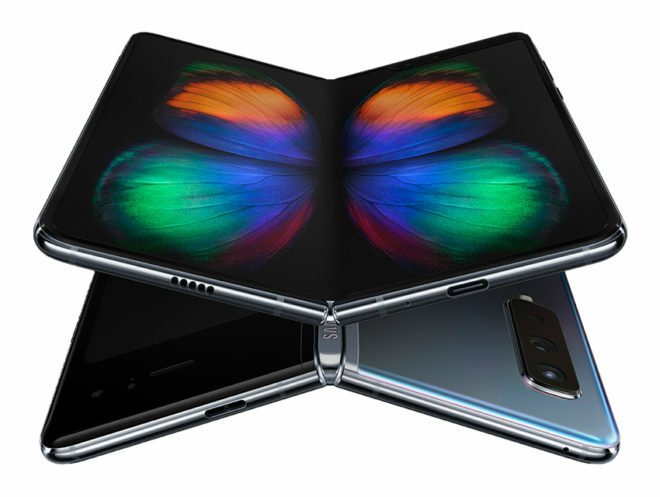 You aren’t spending any money today, though, so if you think you might be at all interested in buying the Galaxy Fold, you may want to put your name down for a reservation. As a reminder, T-Mobile will also sell the Galaxy Fold. It’ll begin taking online orders at 9:00 pm PT on April 25th and select T-Mo stores will have the Galaxy Fold on April 26th. T-Mobile hasn’t said what its pricing for the Galaxy Fold will look like, but Samsung has said that the device will cost $1,980. In addition to features like a 4.6-inch outer display, 7.3-inch inner display, 12GB of RAM, and 512GB of storage, the Galaxy Fold includes support for T-Mobile’s 600MHz LTE network. It also supports LTE-Advanced tech like carrier aggregation and 256 QAM. I hope there are a lot of early adopters. Yeah, ,I’m sure it will be a lot money but honestly, I am kinda of interested just to know that my phone won’t be like anyone else. Just tell me the EIP pricing. Yeah, I’m curious how they’re going to do that. In the past, they have tried to keep the monthly at around $30 tops (IPad is $30 but latest Iphones are currently the highest price per month at $31.25). So, if it’s $1980 they could do $1260 down & $30/months for 24 months, $1230 down & $31.25/mo for 24 months, or if they jump up to a larger per month beyond the current precedent, they could go 1140 down & $35/month or $1020 down & $40/month. It seems like it will be at least $1k down to make monthly amount within reason to their current trends though. I was told by a Tmobile representative in store it should be around $1000 down so your math works. But with the introduction of the 36 month payment options, that estimated down payment could be less. Lower down payment same $40 or so monthly rate for a longer term could be a more reasonable option. Yup. Yet so many enter the chaos willingly. And you’ll need also to provide how you obtained the necessary funds. I’m shocked that the base model isn’t 5G though. If you’re spending $2k for a phone at this point in 2019, it should be 5G by default, because you’ll want to get your money’s worth out of it. Is there any info on the pricing for the 5G version and will it be released with the rest at the end of the month? I think the pricing of the 5G model would be in the range of the Mate X. Maybe even a little more. Those 5G modems are new and probably cost a pretty penny. Combine that with foldable displays and that is a lot of future tech you’re buying into. LOL, LOL, LOL, Samsung forgot to take its medication yesterday and today, the price is outrageous on Any day…at least for my wallet. Unless that thing has the computing power of a laptop or 2-in-1… Nope. Not worth $2k. T-mobile was supposed to be the cheaper company, that is why most signed up in the first place, now you got idiots who are excited about dropping 2k on a friggin phone! Give me a break, that is absurd. What does a Samsung phone have to do with Tmobile service pricing? Don’t buy the darn phone then it’s that simple . Let see a phone that cost 2000. Mmmm, how many updates will it get? 3? 4? Then new one comes out a yr from now, $2500? No thanks,I was hoping by now there would mid rang phone that would have at 64 gig,4 gig,of ram,with 5.7-6.2 screen,no not in the USA. You know what if this is my biggest concern in life,then I am bless. Like David wrote it is only a phone.